WELCOME TO YPSI ALL OF YOU ALLEN ELEMENTARY STUDENTS, STAFF AND PARENTS. So, as of now the former vacant Ypsilanti Middle School is now the temporary home to none other than Ann Arbor's Allen Elementary. Such an interesting twist. As much as I hate to admit, think about, contemplate, and acknowledge it, the truth is that after all these years there is no doubt that many, not all, but many Ann Arbor residents negatively stereotype Ypsilanti. As an Ypsilanti resident and homeowner this has always annoyed the heck out of me to say the least. But as I'm from Flint, MI I'm used dealing with the negative stereotyping and false assumptions people often make when being from an underdog town. 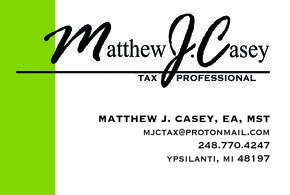 I have lived in Ann Arbor in the past and have lived in Ypsilanti with my wife and two kids for the last 12 years. I love all of the wonderful things Ann Arbor has to offer and I love Ypsilanti. I have nothing but positive things to say about living in Ypsilanti. Oh boy, I didn't want this article to be a rant on the Ann Arbor/Ypsilanti dynamic! So anyway, Allen Elementary in Ann Arbor had a big time flood recently. Ypsilanti Community Schools offered Allen use of our old and now defunct Ypsilanti Middle School to use temporarily while they fix up Allen: A very nice gesture on the part of YCS I think. Yes, this is all about what is best for the kids of Allen Elementary, but today, as the streets in our Normal Park Neighborhood here in Ypsi became lined with cars of Ann Arbor's Allen Elementary parents for what I assume is an open house for the temporary Allen Elementary I can't help but wonder and speculate as to what is going on in the minds of our new Ann Arbor guests as they stroll through the Normal Park Neighborhood in route to the former Ypsi Middle School. Are they thinking, "Oh, it's not so bad in Ypsilanti after all." I couldn't help myself recently from reading the dreaded reader comments from Ann Arbor residents commenting on the two articles about Allen Elementary's temporary move to Ypsilanti in the Ann Arbor News/Mlive. I try and try not to read comments in the A2 News on articles regarding Ypsilanti because so many times the comments are filled with ignorant and hateful remarks about Ypsilanti and residents. There I go again on the Ypsi/Ann Arbor thing! Well, it has proven difficult to find out how long Allen will need to use the old Ypsilanti Middle School. Apparently the flood they had did a whole lot of damage. It could be weeks or months before Allen can move back to Allen. In the end, forget all the Ypsi vs Ann Arbor junk. I'm glad Allen students and staff have a great school building here in Ypsi to use. And I bet a lot of Ann Arborites are going to be saying to each other, "Hey, Ypsilanti is a great town!" Lets just hope a bunch of gluten free green wheat grass infused doughnut shops don't start opening up around these parts! Allen Elementary temporary location in the old Ypsilanti Middle School. Photo Purple Walrus Press. BEHAVIOR WORKSHOP IN YPSILANTI TO HOLD COMMUNITY FUN DAY FOR WEST WILLOW RESIDENTS. When I think of community work in the Ypsilanti area I think of Tyrone Bridges. I have recently had the good fortune of getting to know Tyrone a bit this year and am glad to say so. Tyrone and his Ypsilanti based organization Behavior Workshop organization have been doing wonderful things for the community for quite some time and deserve a lot of credit. On Saturday September 3 Behavior Workshop will be presenting an event called West Willow Area Community Fun Day. The event will feature family tournament games like kickball, volleyball and softball, as well as a flash mob dance. Very cool! There will also be free food and music. Not a bad combo! The event will be held Saturday, September 3 from 11 am to 6 pm. The location is West Willow Park on Tyler Road in Ypsilanti. According to a flier the event is for West Willow residents only. Also, there will be no parking allowed in the park. This promises to be a wonderful event for the West Willow community. places to go in the YPSILANTI area. TECHNOLOGY AND COMFY SEATS WITH CUP HOLDERS. does offer coupons for concessions by getting on their E-mail list. There's also discounts for Smartphone users. YOU'RE RIGHT INSIDE THE MOVIE. Dare I say it?? HOLLYWOOD ROCKS!! working for the good guys or the bad guys??? special works of art and are proudly displayed throughout the theatre. of art that help pump up the excitement factor. DIYpsi INDIE ART FAIR COMING AUGUST 27 & 28. The DIYpsi Indie Art Fair will be taking place at the Arbor Brewing Company Microbrewery in Ypsilanti on August 27 and 28. This is a handmade Art Fair that will feature the best indie artists in the area, and will be a fascinating and unique shopping experience. Support the local community and find that special gift for that special someone, someones or even yourself! Arbor Brewing Company 720 Norris Street Ypsilanti. Arbor Brewing Company Microbrewery. Ypsilanti. 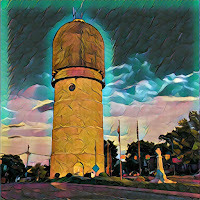 OUR FABULOUS YPSI WATER TOWER BY PWP CONTRIBUTOR BOB RESCH. Up to 250,000 gallons of water in it's steel chamber still floats. The Ypsilanti Utilities Authority keeps the Tower working like a dream. Gave the Water Tower an official "Historical Architecture" designation. Creating all kinds of stories that threaten to crumble it's foundation. Guaranteed to make you smile and feel alright!! 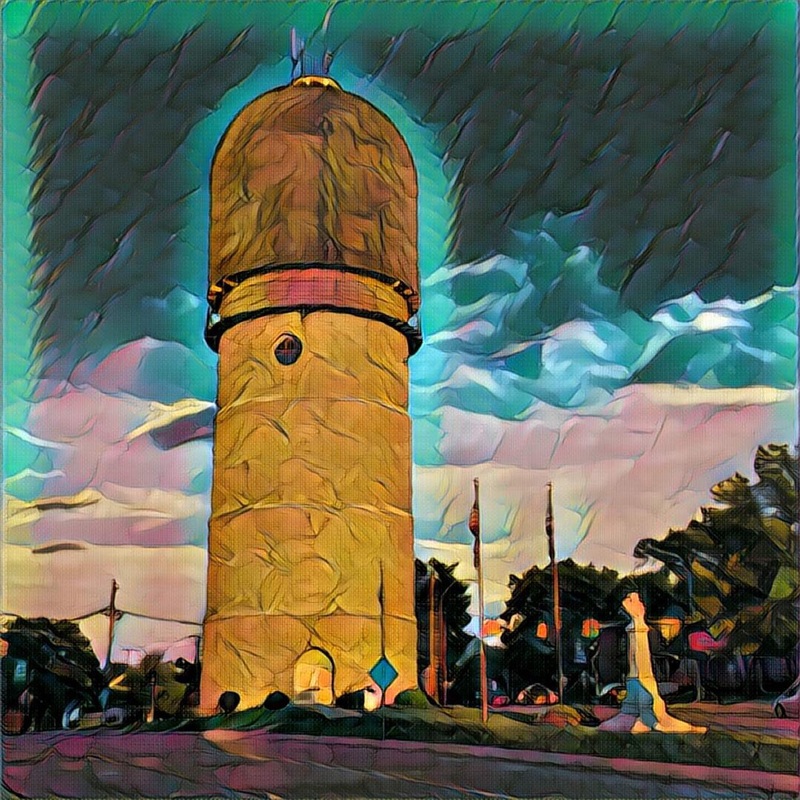 Ypsi Water Tower. Eoin Ryan. Puerto Rico vs. USA : An Olympic Dilemma: Contributed to PWP by Dolly Tittle. As the 2016 Olympics reach the finals in many events, I want to join voices like Danny Cerezo’s or Lynnette Cantos’ in the conversation about the long standing dilemma for Puerto Ricans: our nationality. Cerezo expressed in his article a sense of guilt about not being moved in the same way when Americans win a gold medal, last Saturday, August 13 when Mónica Puig won the gold for women’s single tennis. Cerezo was born in NYC of parents from the island. His sense of Puertoricanness was obtained through his experience as a kid growing up in el barrio. For a moment in his article, he felt the pull of an island nation calling him to be proud of where his family is from. As I was getting the updates of the game through rio2016.com, I was riveted by unseeded Puig’s tenacity in confronting the no. 2 seed in the world, Kerber, for the gold. Cantos’ article, on the other hand, clarifies to Americans that this gold is for the island, which is a territory of the U.S., but not quite a state. She warns Americans not to get any ideas about owning this one. She bases her exhortations on comments found on the web about Mónica Puig’s citizenship. After all, Puig resides in Miami, which despite their Zika virus confirmation, it is still part of the continental U.S.
And this is where the Olympic dilemma is found, in the murky history of being part-of-but-not-quite-Americans. In paper, and according to the 1917 Jones Act, everyone born on the island is a U.S. citizen, a move that coincided with the U.S. government’s participation in WWI. Almost a hundred years later, watching the U.S. women’s volleyball team play the Puerto Rico team made me confront my national conundrum. As I watched the game it dawns on me that all these women are U.S. citizens, but neither Americans know that Puerto Ricans are Americans nor Puerto Ricans think that they are. The Olympics is one of the rare moments when Puerto Rico gets to send a delegation and be united under a flag with one star. But when Laurie Hernandez wins gold for the U.S. delegation it doesn’t matter how many stars are in her flag. It would be nice to just be able to watch a game and not think about history and who am I under the Stars and Stripes. The poet from St. Lucia, Derek Walcott once wrote, “either I’m nobody, or I’m a nation.” As a U.S. citizen and a Puerto Rican, I am both and no-one. NEW BOOK OUT BY POLITICAL ACTIVIST ANGELA DAVIS. Political activist and scholar Angela Davis has a new book out titled Freedom Is A Constant Struggle. Her latest book is a collection of essays, speeches and interviews that engage the issues of justice and oppression. In this collection of essays Angela Davis addresses Prison Reform and the Black Freedom Movement within the United States and abroad. Personally, I have been a big fan of Angela Davis ever since I was a teenager back in the seventies. I have been fortunate enough to have seen several of her speeches in person, and have to say that I have never heard a more powerful and eloquent speaker. Check out this new book by Angela Davis. JOHN HINCKLEY RELEASED: ARE YOU KIDDING?! John Hinckley has been released from a psychiatric hospital and is free. Yes, this is the same John Hinckley who shot president Reagan in the chest and shot press secretary James Brady in the head 35 years ago. In March 1981 John Hinckley shot Ronald Reagan as the president was entering a car after leaving a conference. President Reagan was in the hospital for 2 weeks and James Brady spent the rest of his life in a wheel chair. Although Reagan was stoic about the event while in the hospital and after his release, this was a very close call. The president of the United States was nearly assassinated. If you recall, Hinckley was found not guilty by reason of insanity. This was a verdict that many people, including Reagan's daughter Patti Davis had and still have a difficult time accepting. It was orderd that Hinckley be admitted to a psychiatric hospital where he spent the next few decades. On July 26, 2016 Hinckley was released from St Elizabeths Hospital in Washington, D.C. The court has ordered Hinckley to live with his mother in Virginia. He is not allowed to contact any members of the Reagan family or actress Jodi Foster. After he tried to kill the president Hinckley claimed he did it to impress Jodi Foster. As for me, I am shocked he has been released back into the public. This is a man who tried to kill the president of the United States. He should be confined somewhere, whether it is a hospital or prison for the rest of his life. How can you shoot the president and his press secretary and be released in a few decades? Not good. There was a Ypsilanti City Council meeting this morning at 7am. The meeting was called by Ypsilanti Mayor Amanda Edmonds. The reason for the meeting was to decide if a new Water Street debt millage should be voted on in November. I received word this morning from Beth Bashert that council voted not to put the millage on the ballot for November. Beth Bashert will be representing Ward 2 on city council in the fall. The millage proposal was defeated by a small margin on August 5. If the Water Street millage had passed in August Ypsilanti residents who own a home that is worth $100,000 or more would pay a paltry $9.50 a month to whittle down the remaining $10 million Water Street debt. I certainly would not have had a problem with paying basically nine bucks a month to be rid of this tiresome debt. Ypsilanti, MI. Purple Walrus Press. TOWNE CENTRE PLACE SENIOR COMPLEX : MSHDA RESPONSE. Senior and disabled residents of Towne Centre Place housing complex in Ypsilanti have been forced to struggle with a myriad of serious problems at the complex. Two days ago U.S. Rep Debbie Dingell stepped in and took matters into her hands. As I reported in two previous articles, Rep Dingell, in a press release two days ago, wrote a letter to MSHDA requesting that residents of the complex be relocated while repairs were being made to elevators that have not been working properly for six months. Sanitary problems were also mentioned as areas of trouble. Last week I spoke to Jeff Linton who is the media representative for Forest City, the company that owns/manages the Towne Centre Place complex. We spoke on the phone Wednesday. At 9:00 am this morning I received an email from Jeff Linton stating, "As of 12:30 p.m. yesterday (Sunday), both elevators were operational." Left unanswered in Linton's brief email was the issue of unhealthy sanitary conditions that were brought up to me from a Towne Centre Place resident. U.S.Rep Dingell also mentioned sanitary conditions in her press release. This afternoon I spoke on the phone to MSHDA media spokesperson, Katie Bach. Bach was much more forthcoming and informative than Mr. Linton in Cleveland by the way. Katie Bach told me that she was at the Towne Centre Place housing complex today, today being Monday. Bach confirmed to me that the elevators were operational and working. Bach also told me, and I'm paraphrasing, that they have not solved all the issues, but they are working with Debbie Dingell's office on the issues facing the complex, and also that they are monitoring the entire situation. By other issues it was inferred that she was talking about cleanliness and sanitary problems at the complex. Bach wants residents to know that residents have been heard and that, "They have their back." I should also mention that prior to speaking to MSHDA media rep, Katie Bach, I put in another call to the office located at Towne Centre Place. A gentleman answered the phone. When I asked if he could confirm Jeff Linton's email to me from Cleveland that the elevators were indeed working, he told me that he was told he could not speak to the media. For what it's worth, I believe Katie Bach from MSHDA when she says they will closely monitor the situation and want residents to know they have been heard. Lets hope things get better at Towne Centre Place, and quick. The residents don't deserve the serious problems they have faced over the past six months. Towne Centre Place. Purple Walrus Press. RUTHERFORD POOL ANNUAL TRIATHLON IN YPSILANTI BRINGS SMILES AND SWEAT. On Saturday, August, 13, kids ages 4 to 12 participated in a spectacular triathlon event called TRIumph for Rutherford Pool. The gala event was held at Rutherford Pool and Recreation Park in Ypsilanti. 44 kids participated in the event raising nearly $800.00. The 5th annual triathlon fundraiser was presented by the Ypsilanti Kiwanis Club in cooperation with the Friends of Rutherford Pool. Participation and fun were the top objectives Saturday, and as evidence by the expressions on the faces of the young participants, those objectives were easily exceeded! Thank you to the Friends of Rutherford Pool, and the Kiwanis Club of Ypsilanti! Also, thank you to the planning committee, including Jessica Faul, Cathy Thorburn, Amyliegh Johnson, Jan Marten, and Brett Snyder. I can't forget our athletes! Thank you to all of the future Ypsilanti Olympians and their parents! I have to add that I am quite proud of my 7 year old daughter, Sadie! Rutherford Pool Triathlon Ypsilanti. Purple Walrus Press. Earlier today U.S. Congresswoman Debbie Dingell sent a letter to the MSHDA calling on the agency to relocate residents of Towne Centre Place senior housing apartment complex located in downtown Ypsilanti while repairs are being made. The building's only two elevators have not been working properly for months according to a press release today from Debbie Dingell's office. As stated in Friday's press release from the Dingell office, the lack of properly working elevators has created a serious risk to the 170 elderly and disabled residents as the building is 11 stories high. The MSHDA is responsible for overseeing the complex. A written statement by Debbie Dingell in part read, "It would appear that the current living condition is not decent, safe or sanitary." Continued Dingell, " I ask that the landlord be encouraged to temporarily relocate residents of Towne Centre Place who have faced serious hardship because of disrepair of the elevators." The residents of this building need to be relocated immediately. They have been forced to live in unacceptable conditions for months and months. What a disgrace. Thank you to Debbie Dingell for addressing this very serious situation. Let's see if action is taken. UPDATE: As of noon Saturday PWP received a comment via email from Jeff Linton, media spokesperson for Forest City Realty Trust Inc, the company that owns Towne Centre Place. According to Linton, "We are working diligently with our contractor to restore service for the larger of the two elevators and expect that the contractor will be onsite today and tomorrow making repairs. The smaller of the two elevators is operational. We regret the inconvenience to our residents and expect to have an update on Monday." Thursday morning it was brought to my attention that there are problems at the senior Towne Centre Place apartment building in downtown Ypsilanti. Towne Centre Place is a senior living apartment building located at 401 West Michigan Avenue. The issues I was informed about are in regard to serious elevator and air conditioning problems in the building. I was also informed of a meeting taking place Friday morning at 11 am regarding the issues in the building. The meeting is to be held in the buildings cafeteria. I was told that I should contact Ypsilanti Meals On Wheels for more information regarding the elevator and air conditioning problems at the apartment building. I put in a call this morning to Meals On Wheels. The person who answered the phone stated that they didn't feel comfortable talking to the media about it and told me to call later and speak to the Director of Ypsilanti Meals On Wheels. When I called back I was told that the director left a note saying I should be referred to the City or the Ypsilanti Housing Commission. Well from here the plot thickens. I spoke to someone at the Housing Commission who referred me to the Building department. I eventually spoke to an Ordinance Officer at the building Dept, but he referred me a department called Internal Issues or something similar to that. Obviously, its not easy to speak to anyone about the alleged issue at the senior building. I eventually ended up at the same place I began with in the phone tree. I then contacted Jeff Linton who is the media relations person for Forest City, which is the company that manages Town Center Plaza. Linton knew nothing of any problems at the senior building here in Ypsilanti, though he said he would look into it and get in touch with me. Not holding my breath. The last person I contacted was a gentleman in the leasing office at Town Center Plaza. He refused to make a comment. Thursday afternoon I went over to Town Center Place and spoke to a resident of the complex in the parking lot who wished to remain anonymous. The resident told me that there are roaches and bedbugs in the building. The resident source also stated to me that half of the air conditioners are not working in the laundry room and some of the air conditioners are not working in the apartments. The resident also told me that the freight elevators were not working The resident also informed me of the meeting regarding the matters Friday morning at 11am. I was told that Legal Aid will be present for the meeting. It certainly seems clear that something is not right here, and that seniors and residents with disabilities are having to face problems they should not be having to accept. Stay tuned for updates regarding this issue. Senior Town Center Place in Ypsilanti. Purple Walrus Press. EAGLE CREST BAR & GRILLE BY PWP CONTRIBUTOR BOB RESCH. We continue our tour of some of the cool places to visit in and around Ypsilanti. Our first stop was Rutherford Pool at 975 Congress, which could be called "A Day At The Beach Without Sand!" Our next stop is a real treat for the eyes as well as the palate. wait staff dropping off the menu and asking what you'd like to drink. $9.00. All selections are reasonably priced. 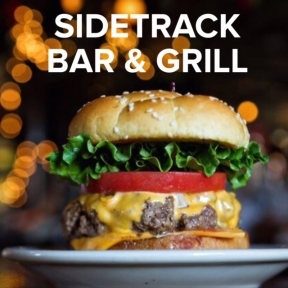 even aware of this great little getaway right in your own backyard. Now you know. Stop in sometime. You'll be glad you did. DUMP TRUMP! : A LETTER FROM MY DAD GERRY "DOWNTOWN" BROWN. 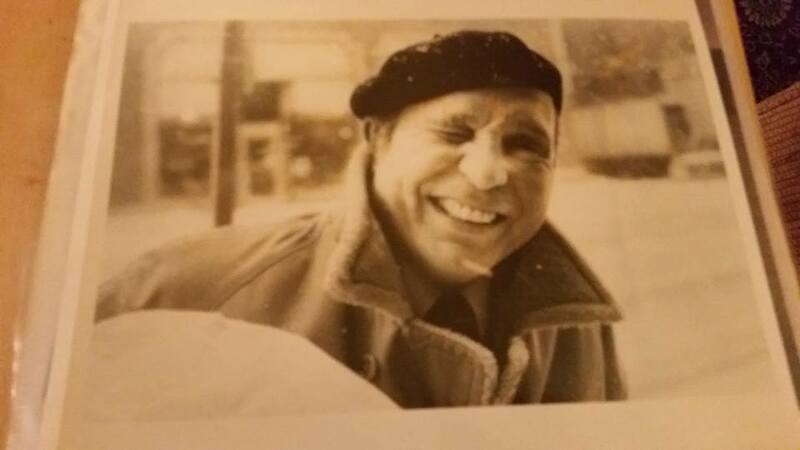 My dad downtown Flint Nov 1977. Flint Journal. My 86 year old dad Gerry Brown, also known as "Downtown" Gerry Brown, alias "Cigimo" alias "Buzz Brown," loves to write letters. His love of letter writing is a beautiful thing because it is a lost art, Anyway, my dad wrote this letter recently. He intended to send this anti Trump letter to the Hartford Current which is located a stones throw from my dads apartment in his home state of Connecticut. But instead Cigimo (my dad) decided to send this letter to me, his son, for publication in Purple Walrus Press. Thanks, Dad! Here it is. By the way, Trump, you really don't want to mess with Cigimo. As a father of a son and daughter I tried to give them both a set of values to serve them in the ensuing years. I preached never to hate, dislike but refrain from hating. To never assume - Always respect your parents - Lastly, to never use the words "shut up." I just isn't necessary. However, ever since the advent of the Presidential Primaries I myself have had a problem following two of my rules, namely, experiencing hate and secondly using the phrase "shut up." This sudden turn a round is because of the presumptive Republican candidate Donald Trump. I hate Donald Trump. I hate the man when he made those inane remarks about Senator McCain, such as "Why is he considered a hero, he was captured. This remark was taken by many to be controversial, however, this seemed to have very little affect on his candidacy, ironically, it brought "Amen's" from many. My distaste for him grew when he mocked the disability of a reporter who interviewing him. Truly disgraceful. Then it got even worse when he made disparaging remarks regarding the face of Fioma. In the past this remark alone could have capsized his candidacy. But no, he steamed ahead gathering the votes of naive Americans..This did not stop him. What it did was create this monster called Trump with many Americans rallying behind him. "Frankenstein." When watching tv and listening to his "Make America great again" speeches is when I broke rule no. 2. I would yell "Shut up" at the TV. the refrain aimed at Donald. My hatred grew when he criticizes the looks of Senator Cruz's wife. What Gall! My blood boiled when he called Hilary Clinton "Crooked Hillary." It was a very sad commentary regarding the American voter. How anyone can be swayed to vote for him, listening to his hateful rhetoric and not realize that this man could very well set back this country years and lose the respect of the world... WAKE UP AMERICA! DUMP TRUMP! Contributed by my dad Gerry "Downtown" Brown of Newington, Connecticut. WORD IS REC CENTER NOT COMING TO WATER STREET IN YPSILANTI. UGH! While perusing through the NPNA facebook site a few days ago I came across a post by city council member Pete Murdock. In his post Murdock stated that the proposed new recreation center deal for Water Street in downtown Ypsilanti is kaput. Well, Pete didn't say kaput, he said dead. Same thing. All I can say is damn, darn, dang, crap, and damn again! I hate to say it but I've always had a feeling over the past couple years that having a new shining recreation center in downtown Ypsi sounded to good to be true. That is the kind of attitude that can develop when you live in a city with so much wonderful potential that keeps getting stuck in the mud in key respects. Of course, I'm speaking of the dreaded and repetitive stinky old Water Street debacle. According to Pete Murdock's informative post, Bob Tetons will state officially at the Washtenaw County Parks and Recreation Commission Tuesday that they are, and I'm quoting Murdock's words, "Withdrawing any interest in building a recreation center at Water Street." Pete Murdock's post also stated the recommendation from Tetons to announce the withdraw has to do with the cost and uncertainty in regard to the Water Street site. What a frustrating development for us residents of Ypsilanti. A lot of residents, including myself, were excited about the prospect of a rec center. Too bad it looks like a bust. THE TON UP MOTORCYCLE, SCOOTER, AND MUSIC FESTIVAL COMING SOON TO YPSILANTI! When I first heard that the Ton Up Motorcycle, Scooter, and Music Festival was coming to Ypsilanti I thought, what the heck is the Ton Up Motorcycle, Scooter, and Music Festival?! Well, shame on me for not knowing about this thing! be held from 11 am to 7 pm. There's gonna be live music, too! Word is that there will be an afterparty at Cultivate Coffee and Tea House with music from 7 pm to 12 am. Can you dig it?! Of course you can. I hear that this festival is a show AND a competition. Hmm. Very interesting. Trying to wrap my head around this. But one thing is for sure, it sounds like a helluva lot of fun! Check it out Saturday, August 13 from 11 am to 7 pm. Cross Street Depot Ypsilanti. Oh, and don't forget the afterparty! Cross Street in Ypsilanti's historic Depot Town. Purple Walrus Press. PWP GRAND THEFT AUTO FELONS BUYING GUIDE TO NEW CARS! 10 CARS CHERISHED BY FELONS EVERYWHERE! When it comes to knowing which cars offer the most value today who would know better than a felon who has committed grand theft auto? I mean, I would certainly trust a felons opinion when it comes to knowledge regarding the finest new vehicles on the road today. And, no, no, Purple Walrus Press has never committed felony. Geez! If you are currently in the market for a new car but you just can't decide which model you would like to purchase, well, look no further! Here it is: The top 10 cars most cherished by felons across the great nation of America! So how would I know what cars are most sought after by skilled felons across America? Ok, ok. The Detroit Free Press published the list in Friday's print edition! Remember. Next time you are in the market for a new car make sure you have this handy list close by! Photo from Rutherford Pool website. There's no better place to spend the lazy, hazy, crazy days of summer than at Rutherford Pool. Located at 975 Congress Street and nestled in the tree lined green space of Recreation Park. Rutherford Pool is one of the many jewels that dot the City of Ypsilanti's landscape. 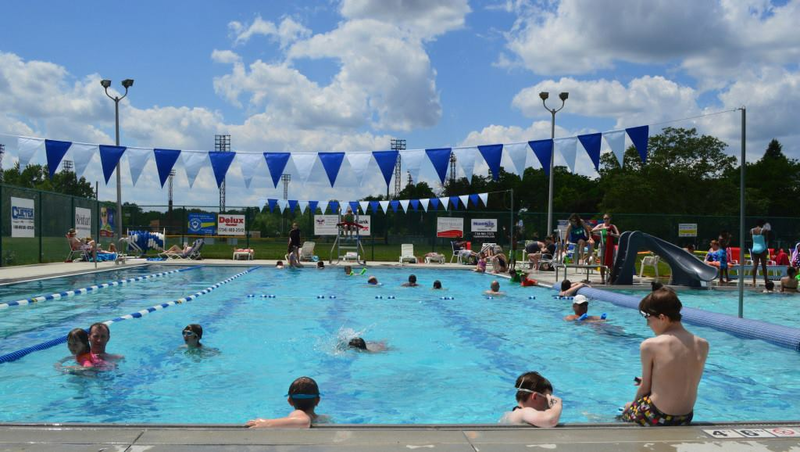 Thanks to the generous donations of many friends, the new and better Rutherford Pool was able to re-open for the 2014 season and has been a summer fun center open 7 days a week. Swim classes are offered for all ages throughout the season including special times for adult lap swim. Water aerobics are also offered 5 days a week. 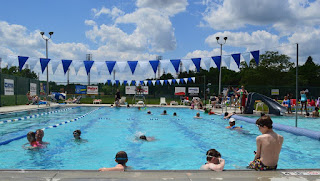 Open swim for all, especially families occurs from 1-5pm and 6-8pm. There's snack bar with national brands of candy and chips as well as Pop, water and Juice boxes. All reasonably priced. Rutherford Pool is a great place to bring the family and just plain re-lax. The air is filled with screams of joy and laughter and the pool filled with all types of colorful floating devices, goggles and colorful swim wear as the kids splish and splash down the slide. All the activity adds to the sparkling, picture-perfect, percolating, panacea of perpetual motion that permeates Rutherford Pool!! There's an occasional chirp from the lifeguard's whistle to warn someone to "walk" or warning a child, "don't get too deep", but order is generally kept in quite and polite manner. Program Director, Cathy Thorburn, and Pool Manager, Eric Rudolph do a commendable job making sure the operation runs smoothly. If you haven't been as yet, don't miss out on all the fun and games at Rutherford Pool before the season ends. Check the their website, forpool.org ,for specific prices and event times. YPSILANTI / YPSILANTI TWP PRIMARY ELECTION RESULTS IN / WATER STREET MILLAGE FALLS. Election results are in for Ypsilanti and Ypsilanti TWP. The votes have been cast, and the people have spoken. I am disappointed to say that the controversial Water Street Millage did not pass in Ypsilanti. The millage was defeated by a margin of a mere 40 votes. If the millage had passed people who own a home worth over $100,000 would have had to pay a mere $9.53 a month for the next 14 years. I, as a homeowner in Ypsilanti certainly would not have minded paying a paltry 9.53 a month in order to dig out of this Water Street debt that has been an albatross around the cities neck for years. But, the people have spoken and the Water Street debt millage has been defeated. On a brighter note I am very happy to say that my friend Beth Bashert has won her ward 2 primary city council election. She defeated Jennifer Symanns by a count of 578 to 448. I can think of no better city council member for Ypsilanti. In the Ypsilanti Ward 3 city council primary election Pete Murdock retained his seat defeating Liz Dahl MacGregor by a vote of 504 to 316. There were four open seats for Ypsilanti Twp trustee. Stan Eldridge, Heather Jarrell Roe, Monica Ross Williams and Jimmie Wilson Jr. won the top votes. Congratulations! It was a pleasure to interview Williams and Wilson. As for as the 54th district State Rep seat, Ronnie Peterson won with 2940 votes. It was truly a pleasure to cover all of the many debate forums in Ypsilanti and meet and get know many of the candidates in Ypsilanti and Ypsilanti TWP. Polling location at Ypsilanti Senior Center. Purple Walrus Press. REMEMBER TO VOTE TUESDAY YPSILANTI & YPSILANTI TOWNSHIP! Tuesday is election day! Please remember to vote! There is a real political buzz going on around Ypsilanti and the Township these days, and it is a beautiful thing to see! From the hot button Water Street Millage Proposal to State Representatives and City Council, there is a helluva lot of important matters to vote on. Pretty exciting, Ypsilanti and Ypsilanti Township! I know that I have truly enjoyed covering all of the interesting town hall meetings and debate forums locally this year. QUICK QUIP ON VOTING BY PWP CONTRIBUTOR CHAI MONTGOMERY. I just want to understand.... if a socialist or a progressive person votes for the Green Party candidate (Jill Stein), then they've really voted for D. Trump? And I guess but the same logic, if a Republican or conservative votes for the Libertarian candidate (whatsisname) then they are really voting for Hillary (?). But what if a nonvoter (an "apathetic") votes one of the 3rd parties? Who did they REALLY vote for? This democracy is so confusing. Nothing is as it seems. Purple Walrus Press contributor Chai Montgomery.